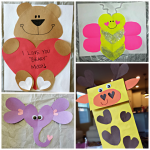 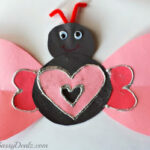 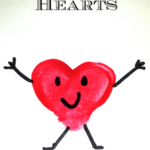 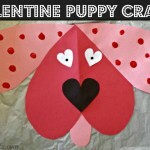 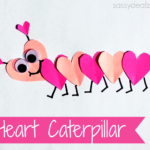 This is an easy heart Valentines day craft for the kiddos to do! 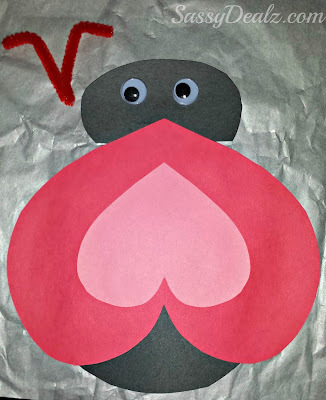 All you need is red/pink/black construction paper, red paint, red pipe cleaner, glue, scissors, and two googly eyes. 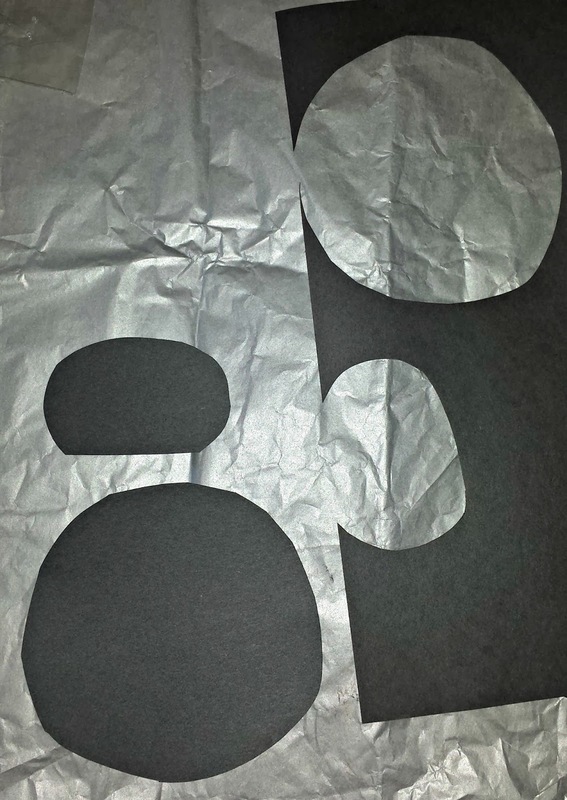 Start by cutting out a black circle from construction paper for the body and then a small oval for the ladybugs head. 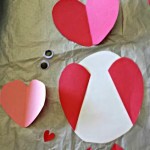 Take some red paper and cut out a heart as big as the body part. 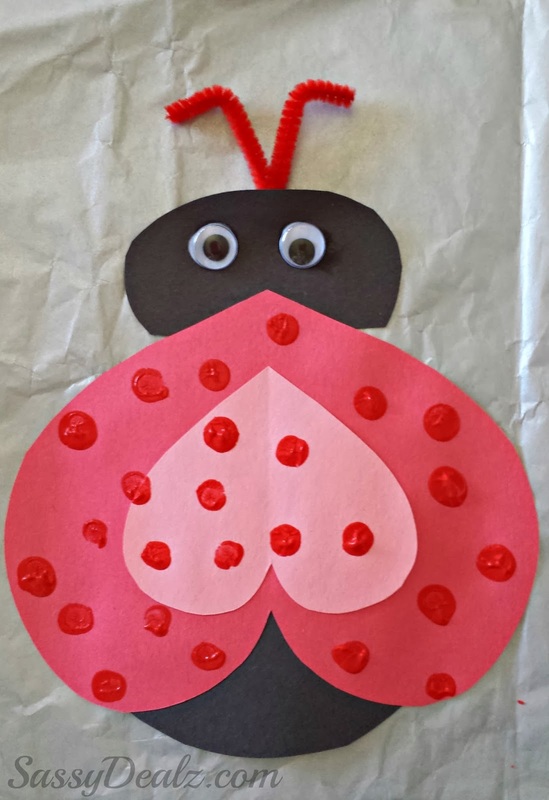 Turn it upside down and glue it on to make the ladybugs wings. 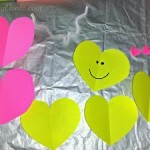 Add a smaller pink heart in the middle. 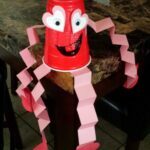 Grab some googly eyes and a pipe cleaner for the antennas. 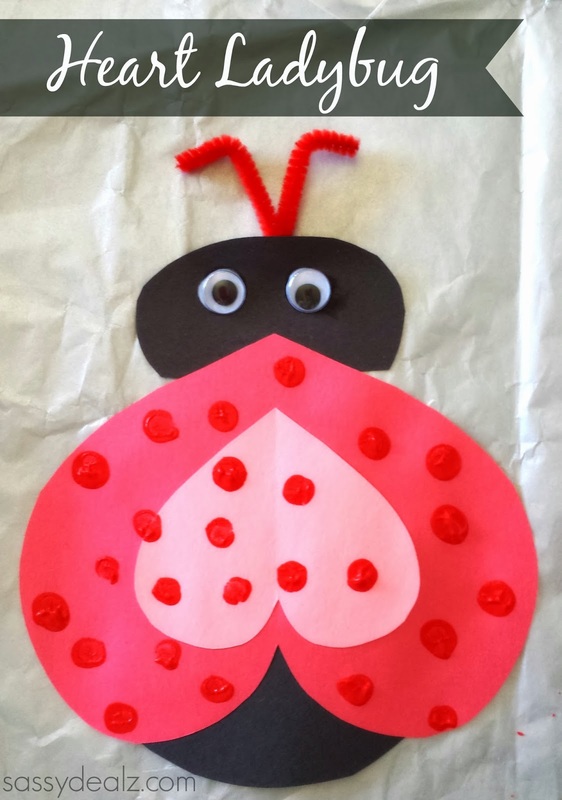 We didn’t have any black paint so we just used red paint fingerprints for the spots. 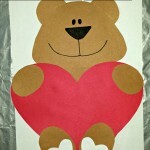 I think it turned out awesome and would be a great Valentines card idea. 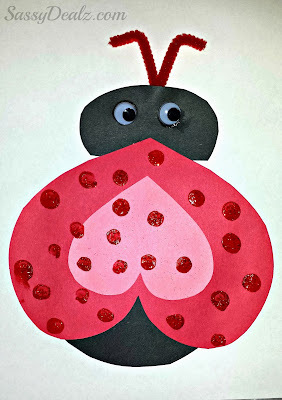 We also added some red glitter to the spots but you can’t see it very well with the flash!